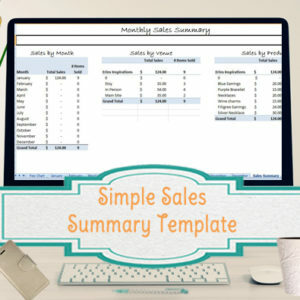 If you would like to make extensive changes to the templates and formulas in them, just add this one to your purchase and we will send the unprotected version. The template still comes personalized with your name or business name, but that is the only cell that remains protected. Most of my templates will come with the cells with formulas protected, to prevent someone from deleting or writing over the formulas, which could cause the template to not work as described. 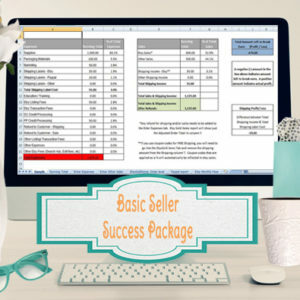 If you would like to make changes to the formulas, I can send the unprotected version for this small fee. The only cells that remain protected are the name or business name of your choice and/or sometimes my website/copyright info at the bottom. 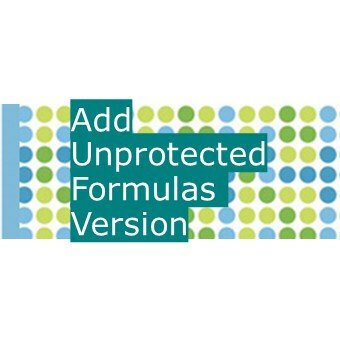 Do I need the regular protected version or the unprotected formula version? I usually recommend to start with the version with formulas protected because even if you try, it won’t let you write over or delete the formulas that need to be there. In the unprotected version, if you accidentally delete or write over a formula, it could cause template to not work as described and could be a hassle trying to fix. 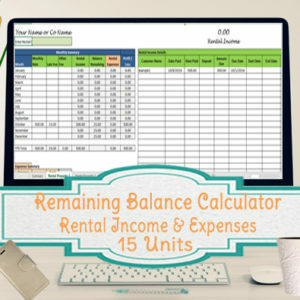 If you are skilled at excel and would like to make extensive changes, you may want to get the unprotected version so you can make those types of formula changes. 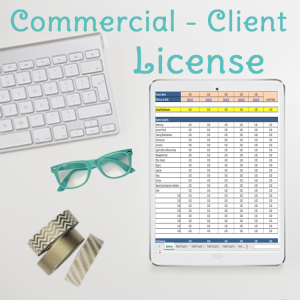 Whether you get the protected or unprotected versions, I still personalize each template with your name or business name – and that cell remains protected, even in the unprotected version. I always recommend saving a blank version before making changes, so you can go back to it. If you order the unprotected version, and you make changes that cause the formulas/template to not work anymore, I can only provide continued assistance/guidance if you are going to be paying for a custom order. You can find out more about custom orders here. You can either add this into your current order or order the unprotected version at a later date.